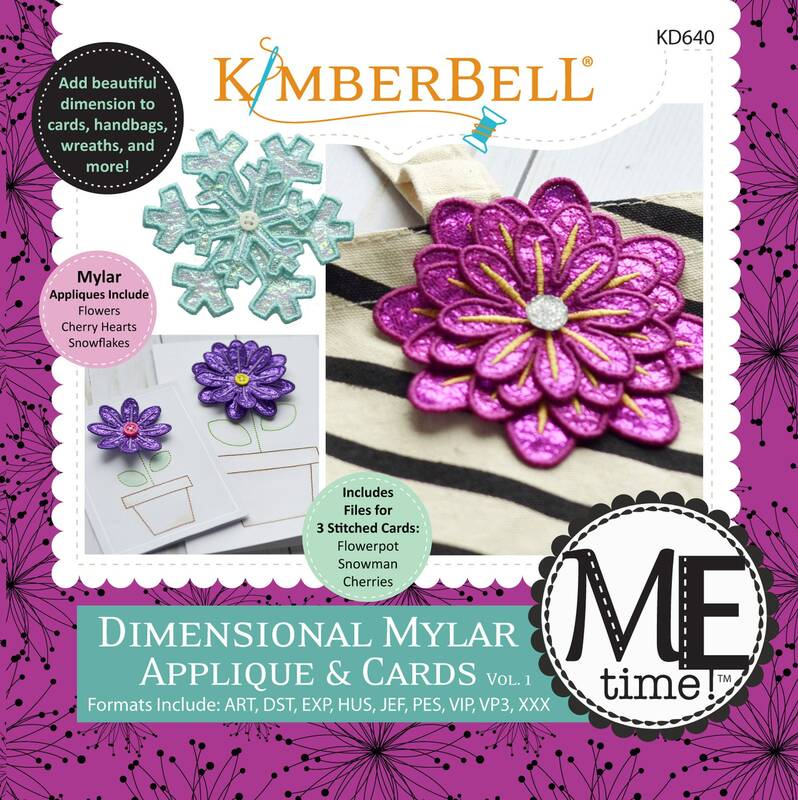 Add beautiful dimension to cards, handbags, wreaths, and more with Dimensional Mylar Applique & Cards! 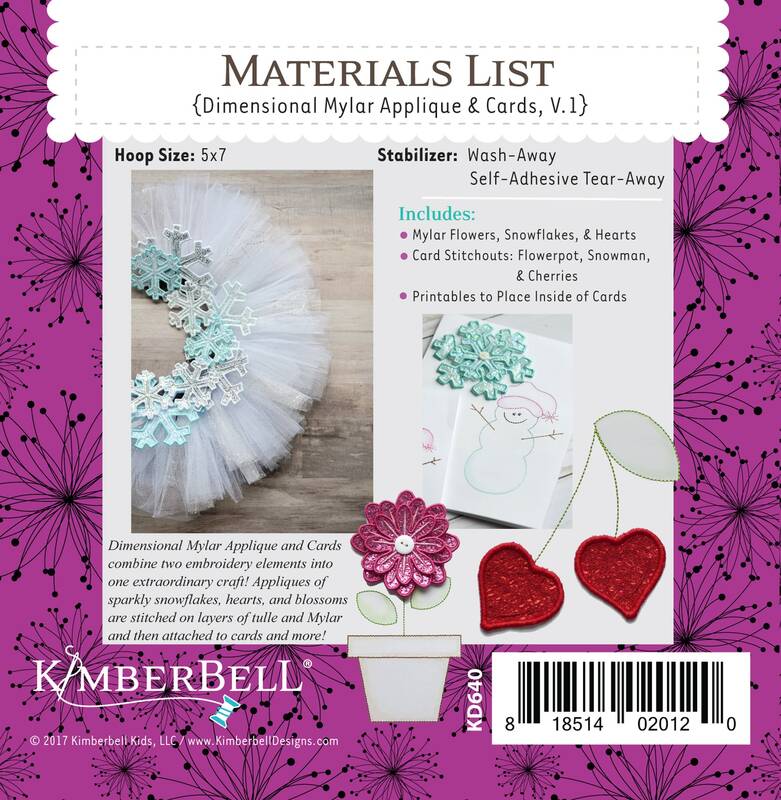 Mylar appliques include flowers, snowflakes, and cherry hearts. CD also includes files for 3 stitched cards: a flowerpot, snowman, and cherries. You’ll also find a printable PDF with special sentiments that can be glued inside the card. Want to add some more fun to the project? The stitched cards make the perfect canvas for shading in the embroidery outlines with watercolor pencils! Your customs will love bring crafting AND machine embroidery together!